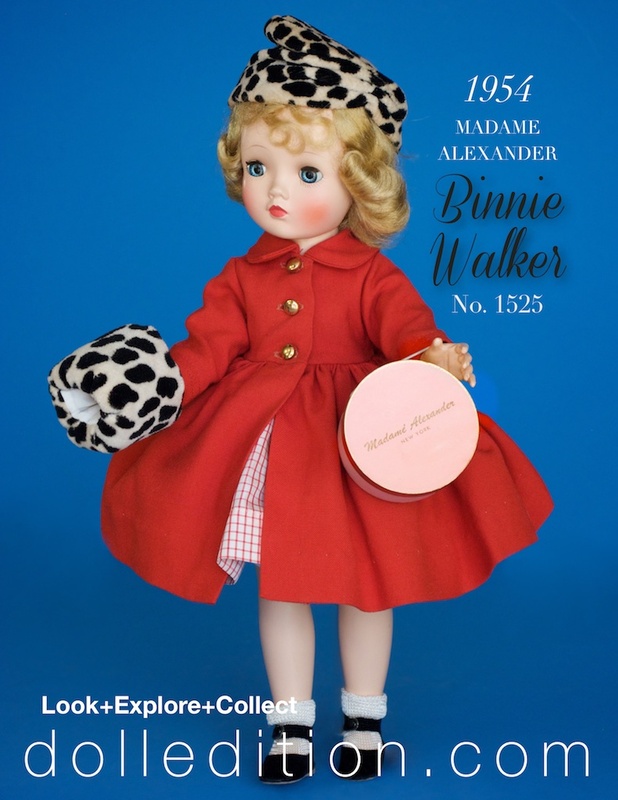 Certain dolls by Madame Alexander seem to be more abundant for collectors. They are often the dolls we start out with because of their availability. A partial explanation as to the why certain MA dolls are are more prevalent are these two examples of coupons, sent to me by Glenn Mandeville, the Alexander Doll Company placed in magazines. The magazine's coupons (sorry, no C.O.D.s) make it possible to purchase dolls directly from the Alexander Doll Company. 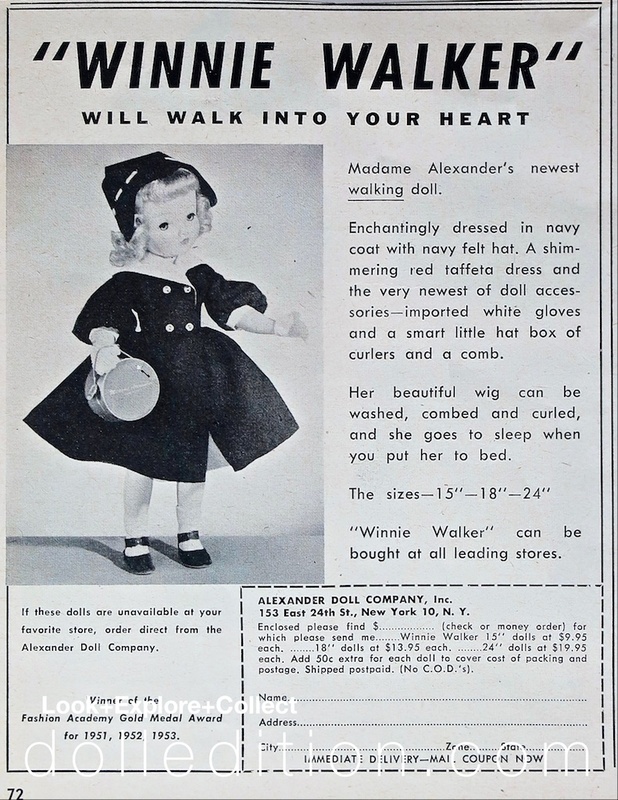 Interesting, the address provided by both these 1953 and 1954 dolls are the lower mid-town NYC office location which was just a few blocks from the original Alexander factory at 20 West 22nd Street in NYC - just before the move to the Harlem factory in about 1955. You can purchase the 1953 navy coat and red taffeta dress “Winnie Walker,” with hat, gloves, and hatbox - available in three sizes. Something both doll ads share is the company plug for their Fashion Academy Gold Medal Award.